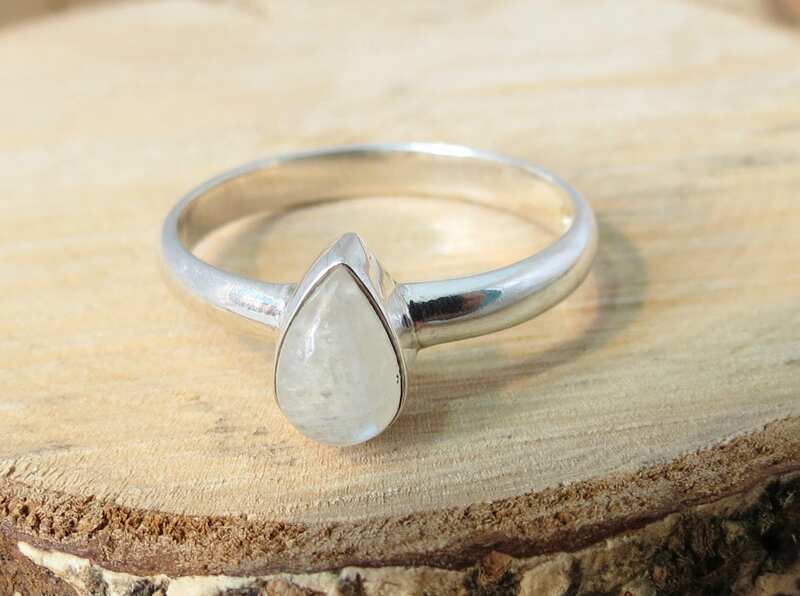 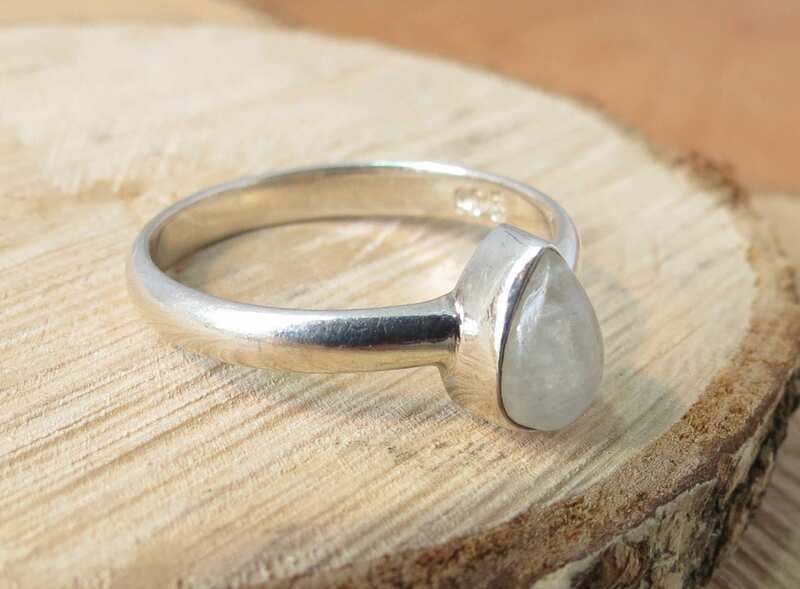 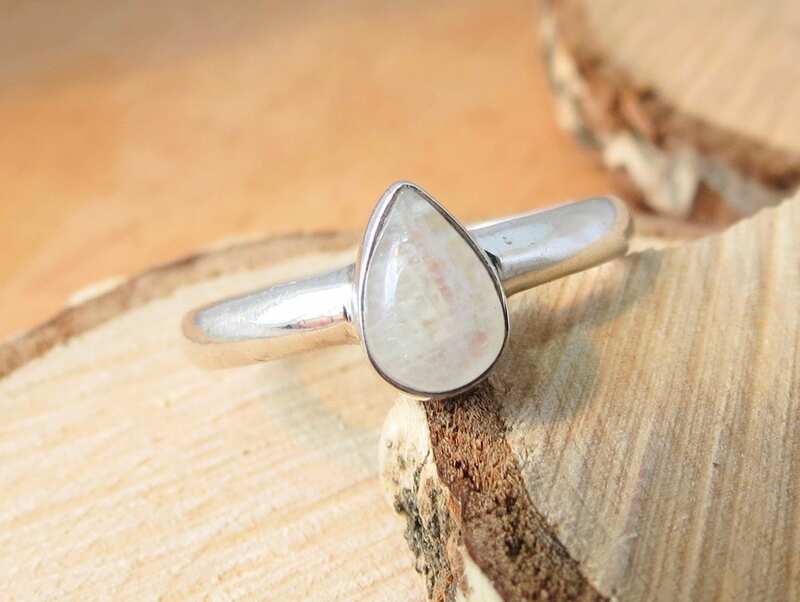 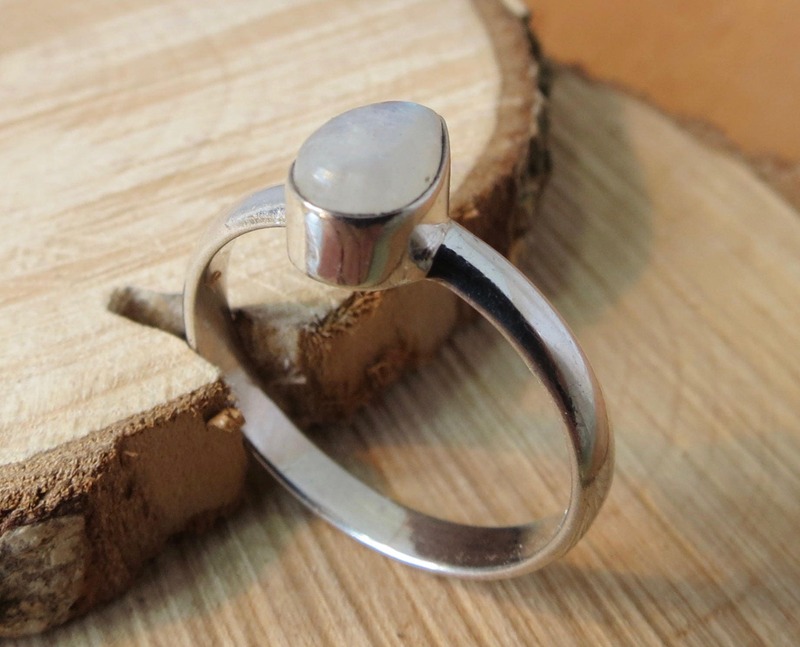 This silver ring has a polished pear cabochon of rock crystal in a rubover setting mounted on a plain shank. 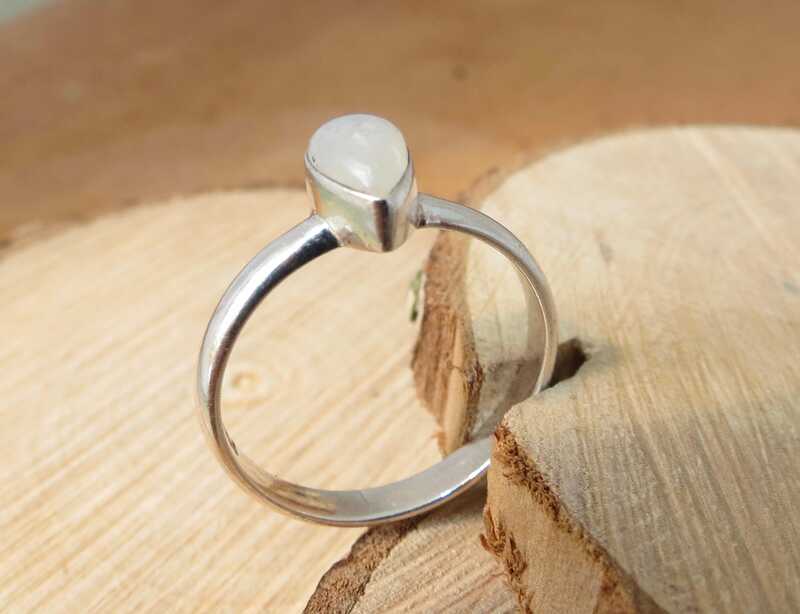 This rock crystal measures 7mm x 5mm at the widest point. 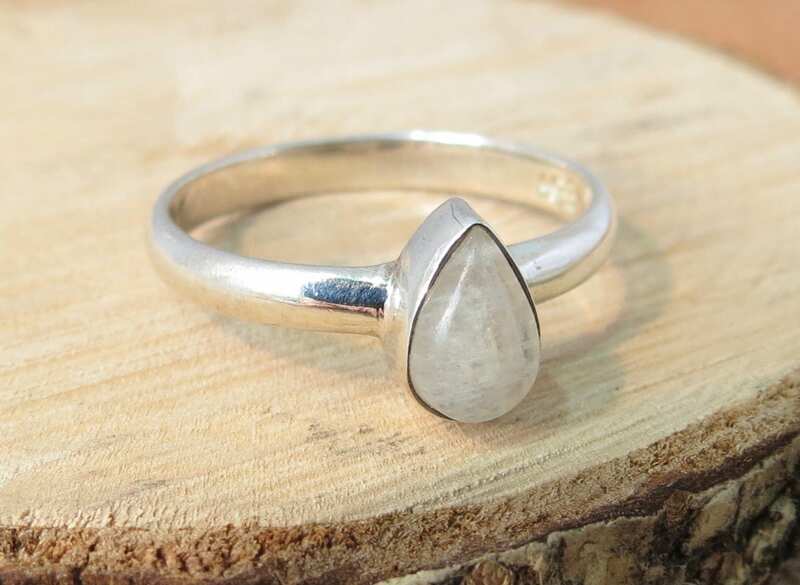 It is said that Rock Crystal emboldens its wearer, protects from bad dreams, removes stress, reduces headache and fever. 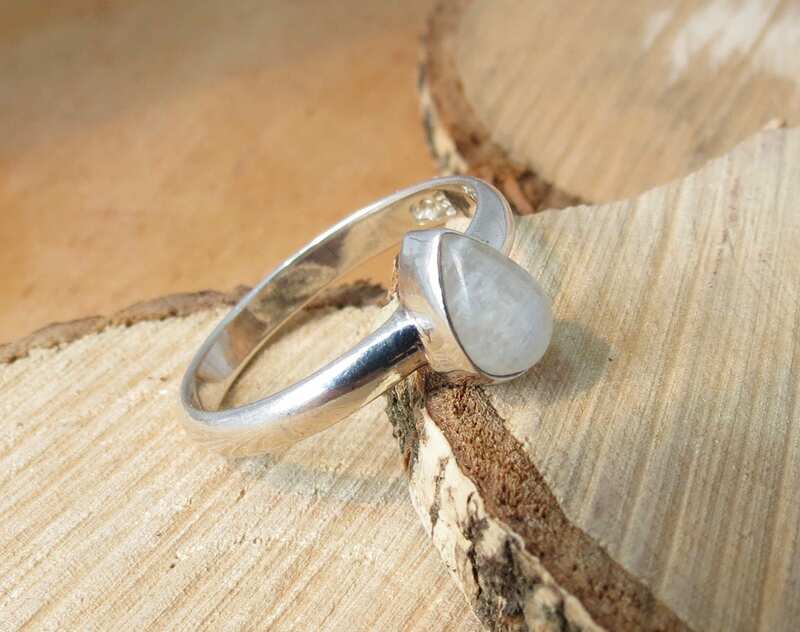 It also helps to treat insomnia: simply place a piece of Rock Crystal under your pillow. 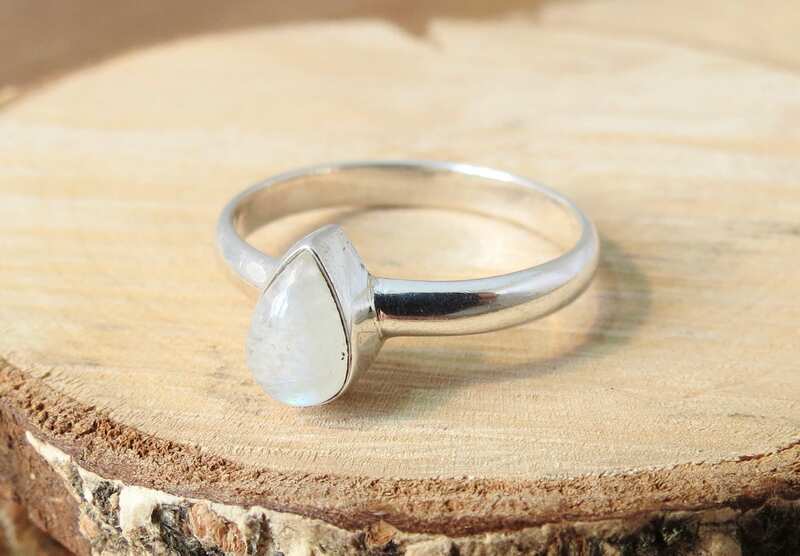 It is also said the Rock Crystal has many powers of healing.